This is one of my favourite easy meal, but I usually have to dirty a big pot to cook the chicken, a rice cooker to cook the rice plus another small saucepan to cook the sauce. Well, this recipe is an all in one recipe in your Magimix CE, and the best part you can multi-task while it is cooking away! Once you are familiar with this recipe you can be more adventurous and make coconut turmeric rice instead by substituting 400ml of the water for cooking the rice with a can of coconut milk and add 1tsp of turmeric powder into the steaming liquid. Using the steam function, cook for around 45mins. 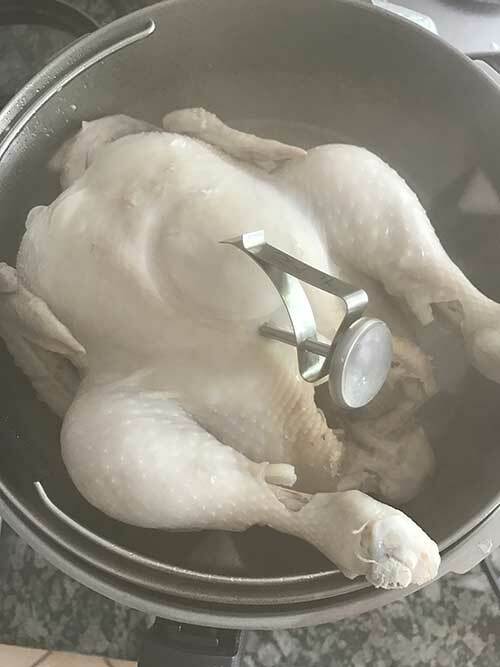 Test for doneness using a thermometer, the thickest part of the chicken should read 75C to make sure that the chicken is cooked. If it's not cooked through or you can still see blood in the cavity of chicken, steam some more and test again after 10-15mins. Do not over-cooked your chicken. 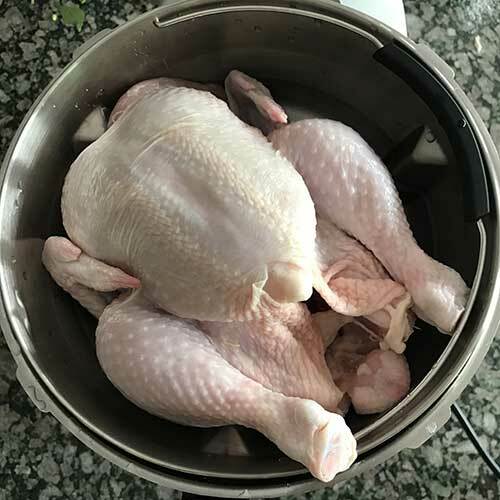 Take chicken out to rest in a plate or clean chopping board, and cover. Keep warm if you have a double wall stainless steel serving bowl. You need to top up the left over stock (water) to about 1.5 litre and add 1tsp of pink salt flakes or Maldon sea salt. 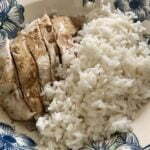 Add 300g of washed long grain jasmine rice, and place rice in the steamer basket. Using the Cook Expert function, turn it on to: 30min, speed 7, 115C. 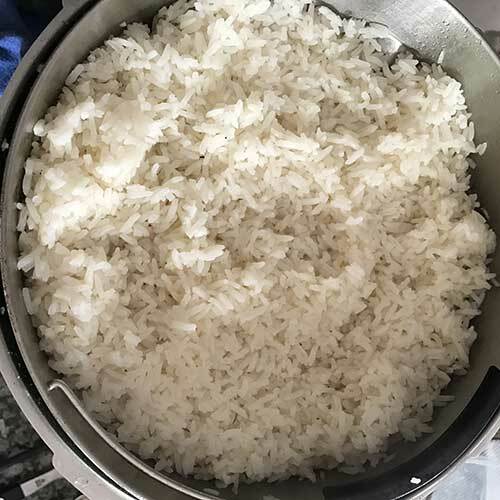 Fluff up (stir) your rice and check to make sure the water/stock is back up at 1.5 litres and turn it back on to 15min, speed 7, 115C.